FH II Active Product Descr. The Fat Head II Active is an innovative ribbon microphone design, in that it offers both active and passive circuitry. This is the first such microphone that we’ve seen. The ribbon element is as found in the Fat Head and Fat Head II: a 5mm x 45mm strip of corrugated 2.5-micron aluminum. 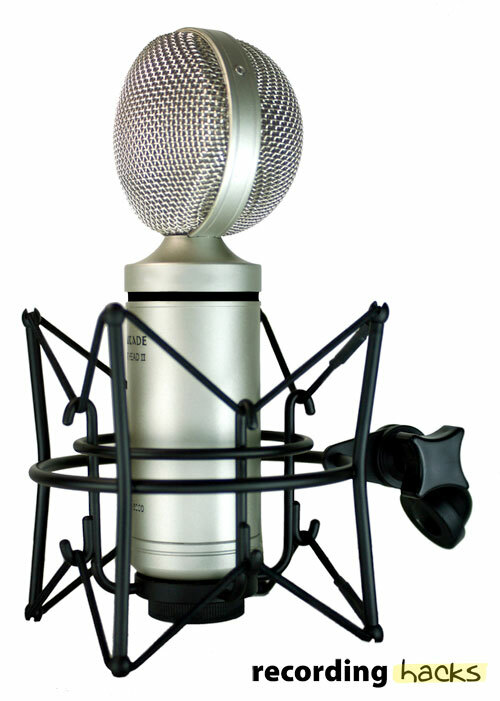 The mic uses the asymmetrical grille of its namesake, with a flatter side in front, and the “scoop” grille behind the ribbon. This difference in the size and shape of the acoustic cavities between front and rear likely makes the rear side of the ribbon sound slightly different than the front. The new innovation of this microphone is in its switchable output circuitry. In “passive” mode, the mic’s ribbon transducer is coupled only to a Lundahl output transformer, much like the Lundahl-option Fat Head II. The “active” mode engages an amplifier circuit after the transformer, requiring phantom power, to boost the output signal. We believe the active electronics will be transformerless. For quiet sources, the mic can be used in “active” mode, which will produce a clean, low-noise signal without the need for extreme amounts of gain applied at the preamp. For louder sources, where an active mic would need to be padded, the active circuitry can simply be disabled. In “passive” mode, the Fathead II Active can have its tonality altered somewhat by altering the input impedance of the preamp. (See also these reviews of two impedance-changing devices, the CloudLifter Z and the Magneto Labs Vari-Ohm.) In contrast, the “active” mode imposes a fixed load on the ribbon element, making it immune to downstream impedance changes. 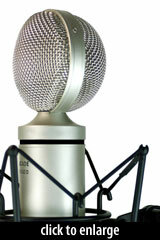 The mic was announced at Winter NAMM in January, 2012. We will update this profile as fuller details become available.